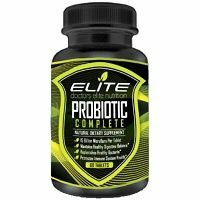 Doctors Elite Nutrition Probiotic Complete gets a 1/5 star rating from me. The short and sweet of it is I really dislike this supplement. It just did absolutely nothing for me and even made me feel worse. This probiotic only uses one probiotic strain, so it’s incredibly lacking in diversity. 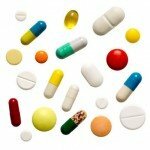 That’s a huge factor when it comes to probiotic supplements. We need a solid strain profile that gives us a diverse range of friendly bacteria to help repopulate our gut. I also don’t like the tablets because they were hard to swallow for some reason. You also have to take 1-2 tablets daily on an empty stomach. This probiotic is NOT safe for kids, it’s only intended for adults 18 years and older. This supplement is super cheap, so I should’ve saw it coming. Again, it just did nothing for me. And even worse, it made me have some crappy side effects. It also doesn’t list any allergy concerns, so we have no idea if there are any or not. 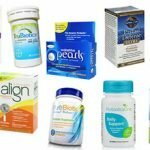 This whole probiotic is just off and I advise you to save your money and opt for a higher quality probiotic that can actually do some good for you! 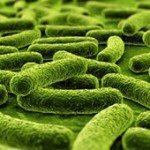 In each tablet of Doctors Elite Nutrition Probiotic Complete, there are 15 billion CFU in just one probiotic strain. The one strain that’s used is Bacillus coagulans. Unfortunately, this is one of my least favorite probiotic strains. It’s been known to cause spores in the body and in turn cause some icky side effects like gas, bloating, and belly pain. I almost always see these negative effects when this strain is present. Even though this strain has been suggested to help with IBS symptoms and lowering cholesterol. This formula does have FOS, which is a prebiotic that helps feed the beneficial probiotic bacteria. It’s frustrating because this supplement doesn’t list any allergens whatsoever. I prefer when companies specifically list what IS and what ISN’T in the formula. So if you’re really allergic to anything, I suggest opting for a probiotic that’s certified allergy friendly. The other ingredients include: Microcrystalline Cellulose, Dicalcium Phosphate, Stearic Acid, Croscarmellose Sodium, Magnesium Stearate, Silicon Dioxide, Ns Enteric Clear, Deionized Water, Eastacryl 30D Kollicoat Mae 30, Plasacryl, Propylene Glycol. For $14.97, you get a bottle of 60 tablets. You can take 1 or 2 tablets a day so it’ll last 30 to 60 days. If you take 1 daily, it’s 25 cents per day and 2 daily equals 50 cents per day. No matter what daily dose you take, it’s still VERY cheap compared to most probiotics. I did have side effects when I was taking this probiotic. I had belly discomfort and bloating. I normally see these types of effects with this particular probiotic strain. Also, I didn’t see ANY improvement in my IBS symptoms. Unfortunately, I couldn’t find any type of guarantee of the Doctors Elite Nutrition website. There’s really not a ton of information on the site anyways. Also, it immediately takes you to Amazon to buy the product, which I always think is a little weird. 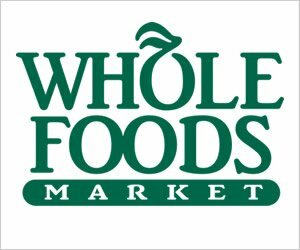 You may be able to get some type of guarantee or return policy through Amazon. To buy Doctors Elite Nutrition Probiotic Complete, click here.